For those who need a brief but thorough introduction to color reproduction in the printing industry, The Field Guide to Color Reproduction is the perfect reference tool. Providing a concise but comprehensive overview of digital color reproduction in the printing industry, this "color primer" explores color quality and how individual characteristics of materials and processes interact with each other to influence the appearance of the printed image. 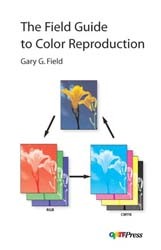 The color reproduction process, quality objectives, the core technology of printed color reproduction, and evaluating the final results are explored in these chapters: color reproduction basics, digital color systems, color reproduction objectives, paper and ink, color printing, color separation, and evaluating results.